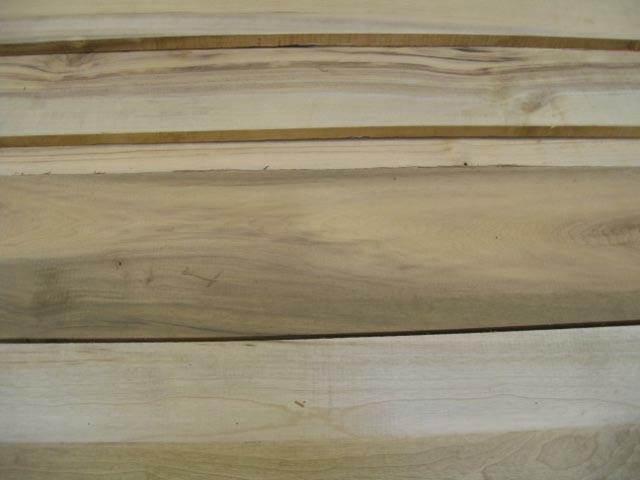 Kiln Dried, surfaced "hit & miss"
KD, s2s 15/16, Widths 4 inches & wider, Lengths 6 foot longer. This grade will have the least amount of color variation and figure. 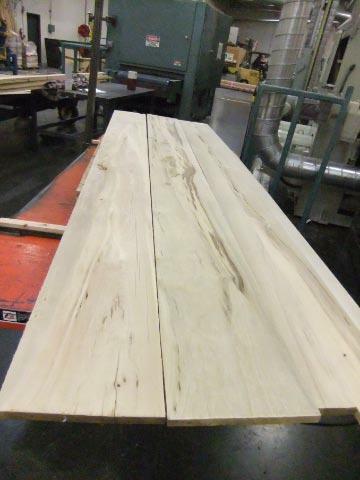 5/4 through 8/4 thickness is put up as mill run product with widths of 3 inches & Wider, 4 foot and longer. 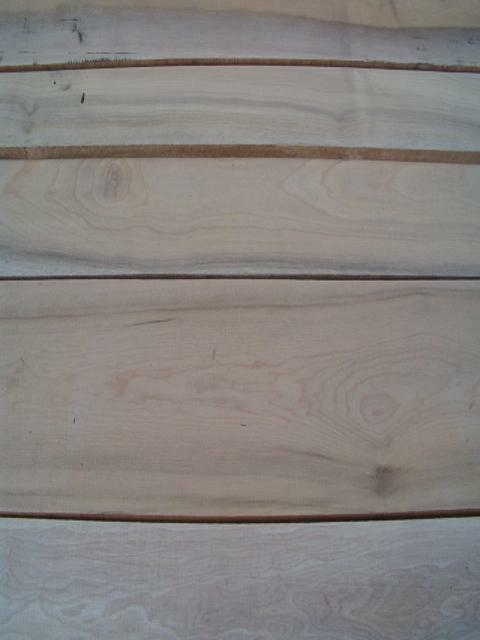 COLOR DETAILS: Varies creamy white to light tan sapwood. 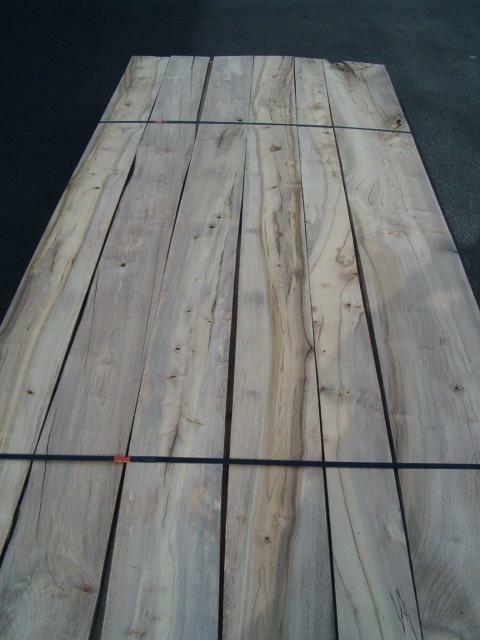 Brown-Gray-Olive color palette can be found in the heartwood. WEIGHT: approx 3.2 lbs per B.F.
WORKABILITY: Works well and finishes to a high polish. Myrtlewood grows in the Pacific coast region of southern Oregon and areas south throughout the coastal ranges of California. 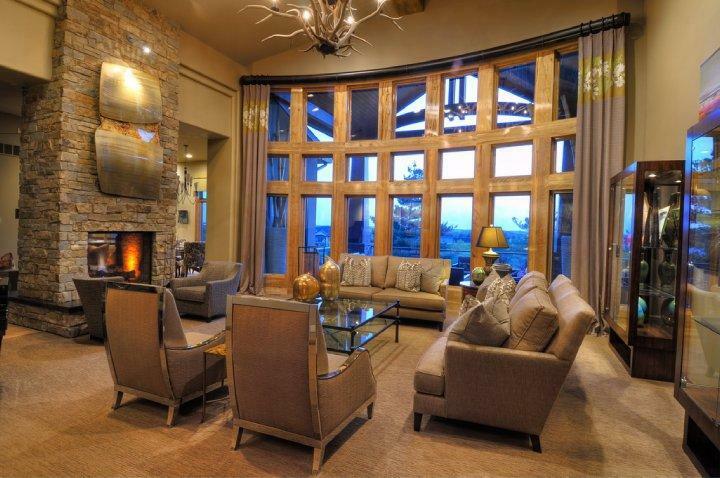 It is a strong, dense wood prized for its wide array of colors and figure common to the specie. 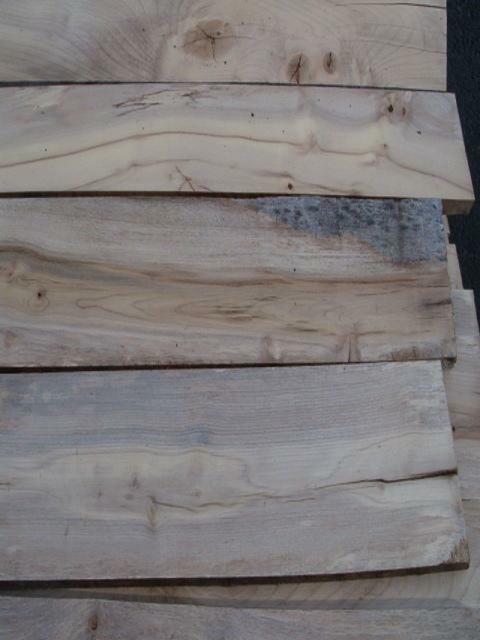 Our Select & Better Grade is the clearest board or graded for a minimum of 84% clear face cuttings. This grade will have the least amount of color and knots. 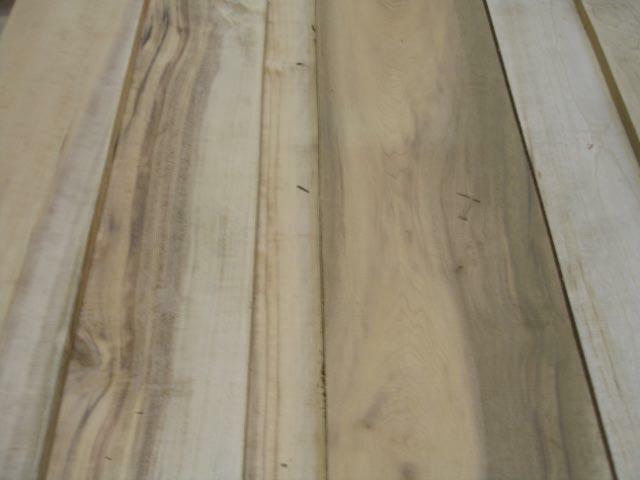 We also offer a rustic grade Mytlewood in 4/4 which yields a minimum of 70% plus, sound-rustic cuttings and is ideal for flooring. Our "Fancy" Myrtlewood is produced to have the most color variation and/or figure inherent in the specie and will have approximately 70% + clear face cuttings. 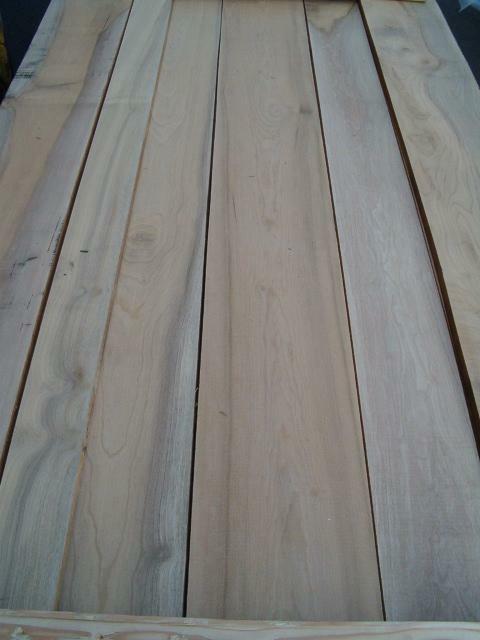 We also offer a mill run Myrtlewood in 5/4, 6/4 and 8/4 thickness. Give Pat or Tom a call at 1-877-983-6367 to discuss your Myrtlewood needs.